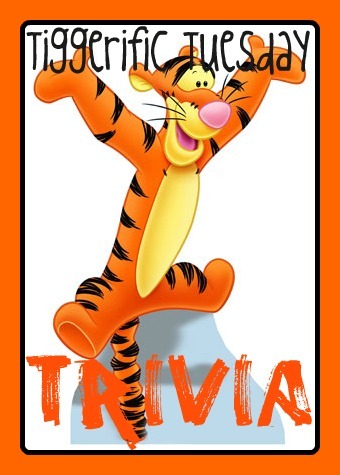 Disney Babies Blog: Tuesday Trivia! When Michael Eisner was CEO for Disney, he had a strong interest in architecture. When it came time for the 2 hotels near EPCOT to be built, on a deal made prior to Eisner becoming CEO, he worked his way and was able to choose his architect. He chose Michael Graves, a fairly prominent architect (I think. I'm no architecture junkie, but Wiki made him sound important) who has been designing since the late 1960's. This is how the Swan and Dolphin came to be! Now, Michael Graves may sound familiar - the reason I first knew his name? His line for Target! He had a commercial for a "stylish" hand-held vacuum a couple of years ago. That's an interesting bit of trivia! Well, that is very interesting! Thanks for co-hosting! "It's a small world after all! It's a small world after all! It's a small world after all! It's a small, small world!" Great tidbit, thanks Jenn! :) who knew! which 2 hotels? Beach and Yacht? Swan and Dolphin. Did I really not post that?? Whoops! Great trivia! He chose Graves for Swan and Dolphin Michael but his favorite resort to stay in was the Y&B! I love your trivia questions!